Innovative offices, encouraging creativity and freedom. Let’s face it, Monday morning is about as appealing as something which you find very unappealing. What can make your Monday even worse is coming into work to be met by drones of people dressed identically. The awful combination of bright white paint and fluorescent lights may just tip you over the edge. That’s why we believe it’s important to innovate offices! As simple as a dress code. We at Rogue believe innovative offices can inspire creativity and encourage your treasured employees to be themselves. Of course if you’re running an accountant firm you don’t want Rodger the new intern coming to work dressed in Hawaii shorts and a tank top that he may, or may not have slept in last night. We just believe a little more creativity and freedom is always welcome! Why not introduce something as simple as a casual Friday? Or allow for an employee to come dressed in their own clothes on their birthday? Not their birthday suit mind you. Inspiriamedia have some great tips on how to choose the right dress code for your business. Match your workforce with an appropriate dress code. A relaxed dress code is just one measure you can take. It’s also worth looking at your office space itself. Google, famed for it’s slides and sleep pods are well ahead in this game and just look how successful they are. We’re not suggesting you begin building up a playground in the middle of your office. Giving your office a more fun, happier look and feel can help just as much. 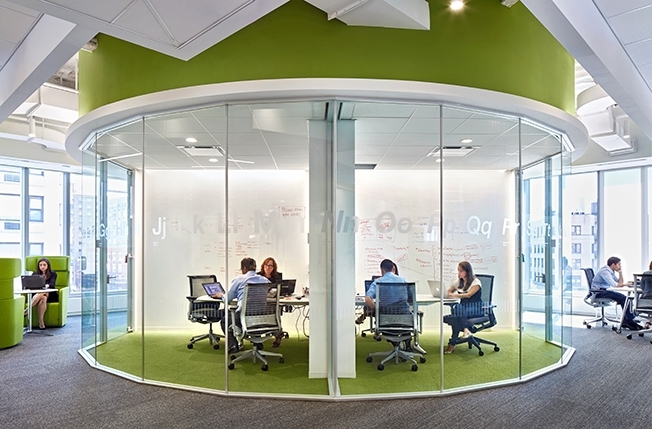 Look at IBM and how they have innovated their offices in New York. It allows for people to work alone, but just as easily it allows for brainstorming sessions, presentations and video conferencing. Creating innovative offices can be as simple as including inspirational quotes written on walls, having at least one communal desk where your staff can brainstorm or even giving your staff the freedom to dress in what they’re comfortable in. Just make sure you match your environment to your workforce, if your company thrives on creative minds give them places to unwind and interact with other creative brains. If your company relies on number crunchers give them breaks from their calculators by creating a relaxing atmosphere around your office.